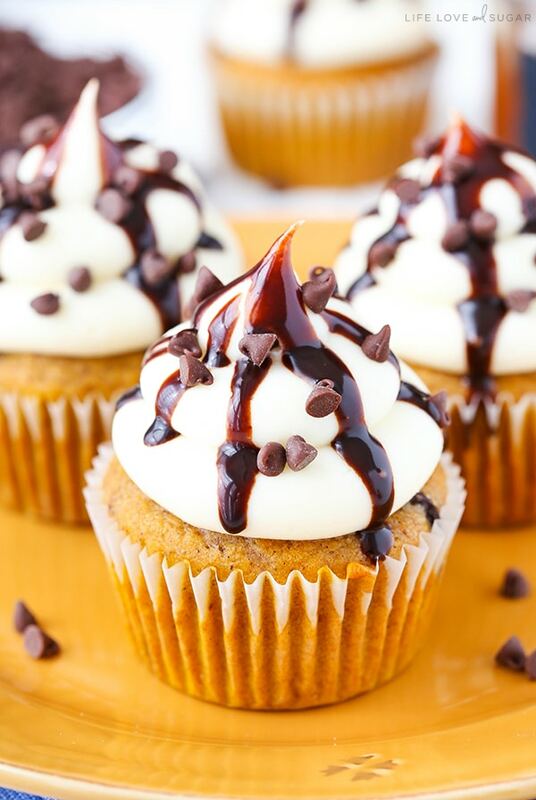 I suppose the good thing about this time of year is that fall and the cooler weather means pumpkin flavored things are that much more appropriate – and it makes these cupcakes totally appropriate. Plus, they are so darn good. I spent a good bit of time testing them to get them just right. I wanted to make sure they were plenty moist, dense enough that the chocolate chips didn’t sink to the bottom but also fluffy enough that they weren’t too dense. A tough balance but I’m SO happy with the finally result. I played around with the amount of butter, vegetable oil and milk and am pleased to say that these babies are delicious! I hope you love them as much as I did! If all that you show is as good as they look, I want some of each. 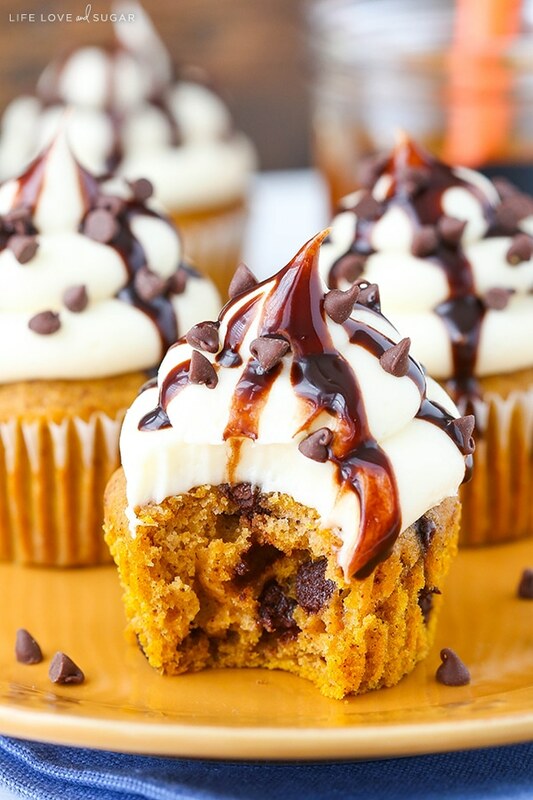 I’m crazy for anything made with pumpkin. 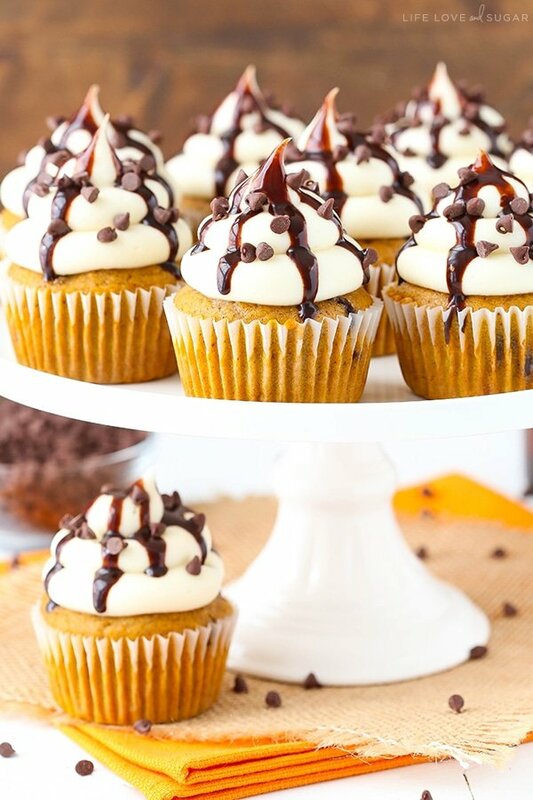 These cupcakes are so beautiful!! 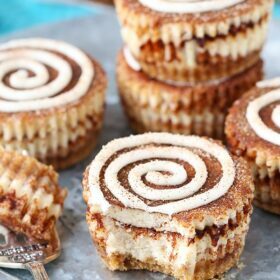 I made these for my office and everyone raved about how good they were! I’m keeping this recipe in my stash! Thank you!! I wanted to thank you for sharing your recipe. 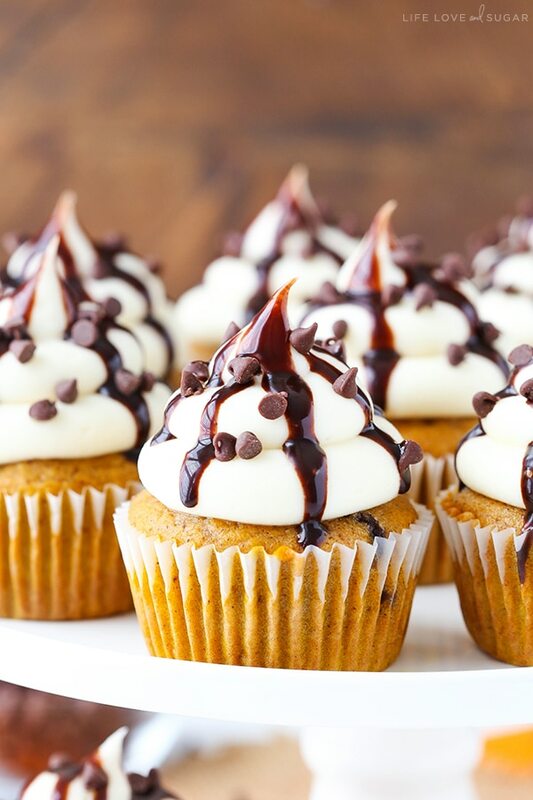 I made these cupcakes Friday and today and they were super delicious!!! 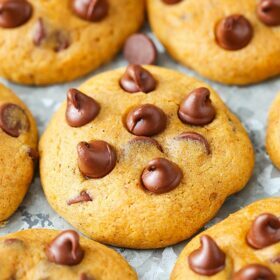 (super moist, perfect balance of spices and a great combination with the chocolate chips) My husband and I are enjoying them! I definitely plan on trying more of your recipes and you have a beautiful website ???? Wonderful! So glad to hear you enjoyed them! Hi Lindsay! I love your recipes, everything I tryed turned out delicius. 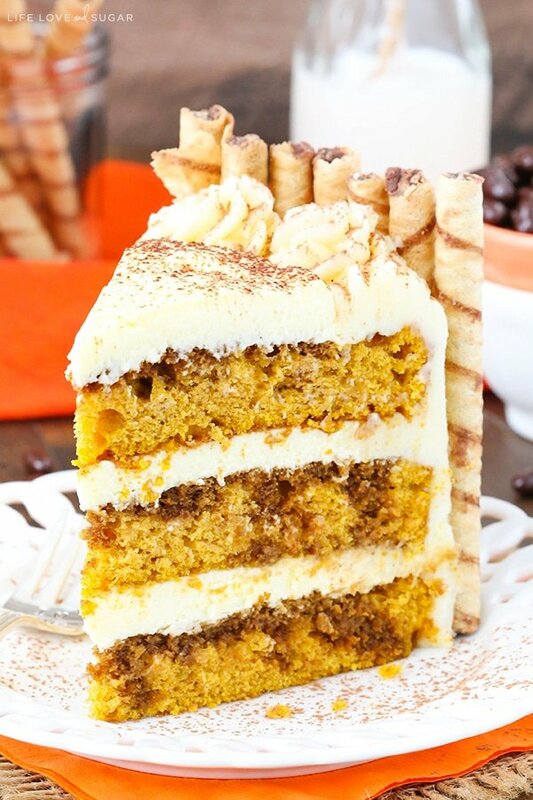 I wanna try this recipe and I would like to know if it works out with homemade pumpkin puree, i am in Brazil and cannot find the canned one. I made these and they were delicious!! 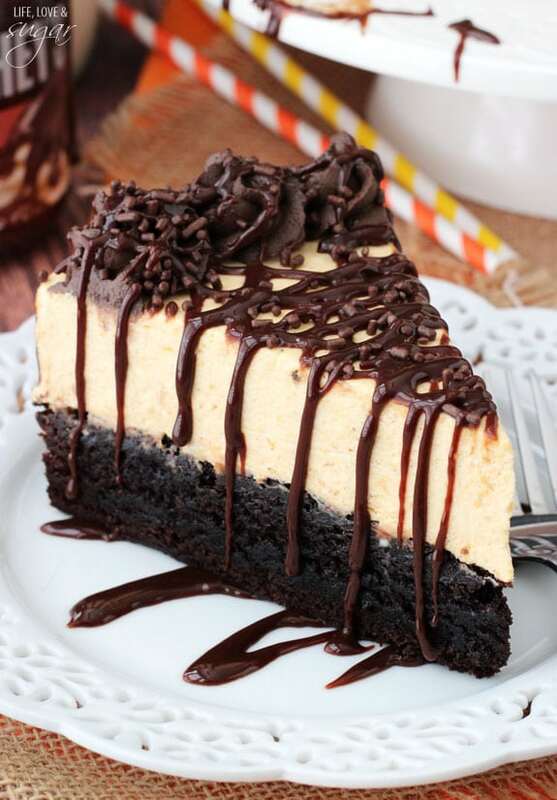 Can this recipe be made into a layer cake? I’m glad you enjoyed them! It should be fine as a layer cake. How have i just found your website? My family and I have been missing out for sure! 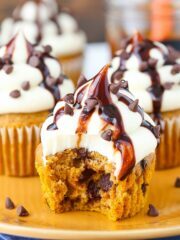 I am currently working my way through your cupcake recipes, and this one is absolutely delicious!! 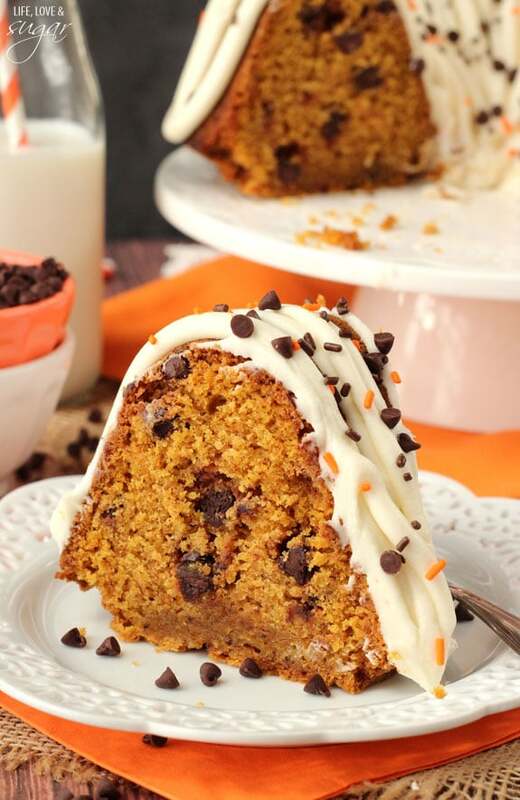 I have made pumpkin bread for years, but had never thought of combining chocolate with the pumpkin. They work surprisingly well together! And the icing?? Unbelievably good! I can only imagine using it for many other applications, as well. Thank you for making these recipes available! 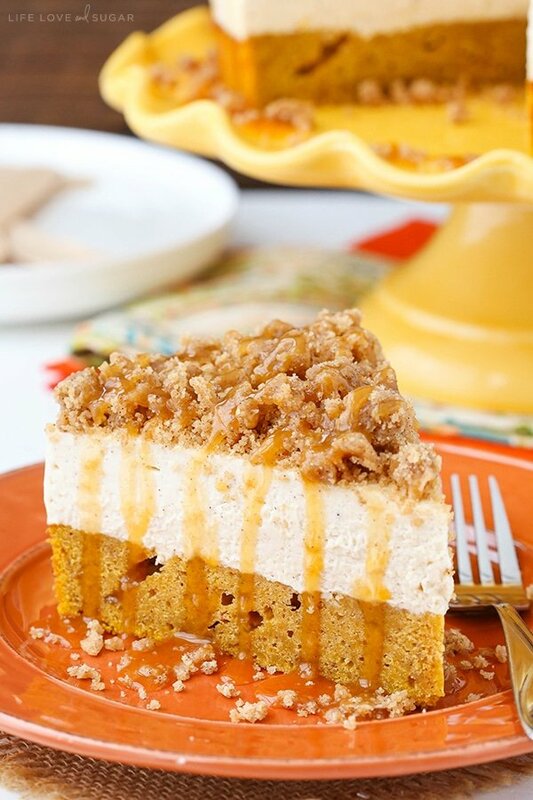 I’m so glad you finally found my site and are enjoying the recipes! Thanks so much Patti!